I don't think I have ever posted a photo like this on my blog. 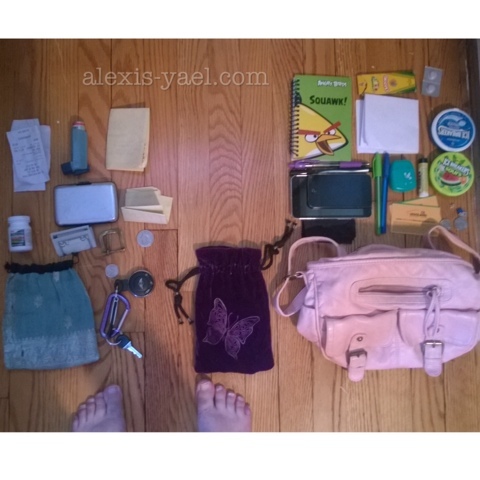 The insides of my purse(s). Today, we went to the ren faire, in costume (of course. I'll post that photo later today) and as usual, I left my big purse in the car trunk and carried essentials only in two pouches. Even the insides of my purse are beautiful. Beauty surrounds me, even in the insides of my purse, which is the practicality of my life.